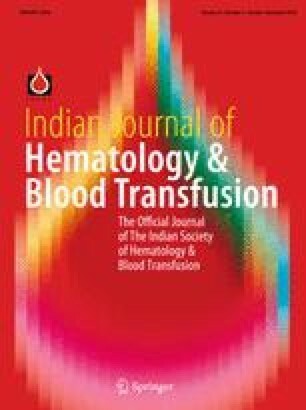 Subclinical Iron deficiency appearing in blood donors after blood donation is a recognized problem. Donors at an increased risk of iron deficiency need to be identified. Blood donors meeting national selection criteria were included in the study. Complete blood counts were done using Sysmex XP-100 three part hematology analyzer. Differences in RBC indices among donor groups defined by previous donations were then analyzed statistically. Six hundred and seventy three males and ninety six females were studied. In males, Kruskal–Wallis test showed significant differences between groups defined by number of donations for MCH and MCV (P value < 0.001), but not for MCHC (P value = 0.09) and RDW (P value = 0.6). Post-hoc tests showed statistically significant difference between donors having six or more donations compared to donors having no previous donations for both MCH as well as MCV. No significant difference was found between donor subgroups in females for any of the indices; however, no female donated blood more than three times in the study. There is increased risk for iron deficiency in donors having six or more previous donations, and evidence for starting an iron screening and supplementation programme for these donors. Ethical clearance for this study was taken from the institute ethics committee.